Hiddey-ho farmer! It’s almost New Years eve, my favorite night of the year! "Woot woot!! Wait, that IS what all the young kids are saying nowadays right? "Woot woot?" 1. Can you help me round up the Farm Family? I’ve got an exciting announcement to make! Where is everyone? Hmmm...perhaps some refreshements will get ’em here in a jiffy! 2. First, some Champagne and Cocktails to get us in a ’totally chill’ mood! Har har! I’m making a New Year’s resolution to be more young and hip in 2014. Aren’t you ’digging it’? 4. I also won tickets to the...AHEM! Nice try Darryl but Champagne and Cocktails are not for children! How ’bout we get you a nice glass of apple juice instead. 5. We are leaving for the airport in 30 minutes but where is the luggage? 7. We’ve also been invited to a New Years eve potluck dinner before the party. Let’s see if Felicia can help us out with some appetizers. 8. What a cozy little plane! I hope I packed my dancing loafers and sunglasses…I mean my ’dancing kicks’ and ’cool shades’. Rockin’ New Years eve party, here we come! 9. We’re here at last! I hope y’all are ready to ’get jiggy wit it’! Get your party clothes on and meet me in Town Square. Wait till you see my spiffy suit! 10. Can you hear that farmer? That’s the DJ ’dropping the beat’. Aren’t I so good at being young? It’s countdown time! 10...9...8...7...6...5...4...3...2...1. Happy New Year everyone! 0. x 3 = ? priyakarthi-yeah I finished it a while ago,you need to level up your beauty shop,I had mine at level 5 and I just made anything I had ingredients to make weather it took 10 mins or one hour and I only got 2 duplicate,hope this helps. kiarager- Hi thankyou for your daily gifts. Have you finished your flowervase collection . I am having many false vases dont know what to do. priyakarthi-Hi I just got your gift and sent you one!!! tinalowe36- Have you got your gift. I am not getting my gift I dont know what to do. Anybody help me. guys do not be sad because if you can not buy passion tree and lime tree you can harvest them in your nieghbour farm !!! i know you shocked it is tricky? what does the blue merino produce? @reallydarkblue here you are: http://www.wiejskie-zycie.info/index.php?gr=1193&type=new&lng=en you will find it in "Missions descriptions"
Hello, I am trying to find the "Little Blue Farming Hood" Mission. I have looked in the Classic Mission but it is not there. Where is it? Please let me know. Thank you. randapanda1@msn.com-Glad to hear I am not the only with this problem it also was the willow hoop that I had on auto it showed -4 -4,I also sent mail and I am still waiting for reply.I done everything to try sort it myself and this morning I once again cleared browser and it worked,thank you for replying and I am glad to hear you got it sorted to. que hermosos premios ja me voy a elegir la maquina de queso. 22 RC for trees (passion+lime), not really RC free mission, really. kiarager...had the same problem 1/5-1/6 with my beauty shop. Had the willow hoop on auto and it showed -5 -5. The first 1-2 seconds would save each time I refreshed so I was able to quickly hit OP and get my weaver bird on auto. After refreshing repeatedly, my willow hoop finally was back to 0 instead of negative and the farm started working again. emailed help on agame and still have not heard back from them. Good thing I figured it out b/c flower shelf mission would have been sitting losing time. 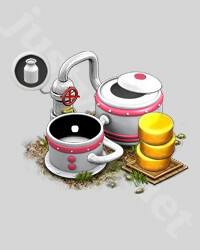 Hi,anyone else having any problems with their beauty shop I have mine on auto I was trying to get a trophy and now I can't take it off auto and when I reload it restarts making the same thing from the start and I harvest my crops and plant more,when I reload the game the old crops are still there,I have cleared the browser cache loads of times,CAN ANYONE HELP!!!! What do we do with the Jingle bells sitting in my gift box? I completed this mission but did not receive my reward and it's not in my gift box....can anyone tell me how to get it? i have no use for the merino sheep...the one i already have is lying idle in my warehouse...but fast cheese, yes please! I was ready for the task, and I did not get anything. Why? I recommend getting the sheep too. The cheese maker is less rc to buy (only 15 rc). Animals always cost much more. @Mariukos: you'll need 50 each of grapes, vanilla, and cranberry to build it. hopefully they have more machines like that.... @popcorn: recommending the sheep. you won't find a merino sheep in any of the classic missions. (trust me, I've looked). you can buy the machine for 12 RC from the store, if you catch it on sale. do hate it when they make you choose between two really good prizes like this, though. 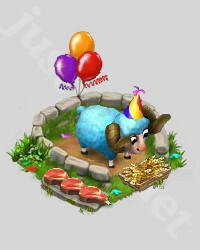 I have both, but I'm going to get a second fast cheese maker, because they seem to use it more in missions,it makes the special cheeses like donkey and panda,horse and reindeer cheeses,the sheep is good for the kitchen for mutton dish,mine just sits in the storage unit, but it is cute! It's difficult to tell if you need both. On one hand you can buy the cheesemaker but you can't the sheep. On the other hand, the merino sheeps is not really important and with the super cheese maker you can do many more stuff. Guys can I ask: if i dont have both the merino sheep and the fast cheese machine, which should i choose? Page generation time 0.0820 sek.